​Order it through Scholastic Book Clubs! Georgia Gilmore was a cook at the National Lunch Company in Montgomery, Alabama. When the bus boycotts broke out in Montgomery after Rosa Parks was arrested, Georgia knew just what to do. She organized a group of women who cooked and baked to fund-raise for gas and cars to help sustain the boycott. Called the Club from Nowhere, Georgia was the only person who knew who baked and bought the food, and she said the money came from "nowhere" to anyone who asked. When Martin Luther King Jr. was arrested for his role in the boycott, Georgia testified on his behalf, and her home became a meeting place for civil rights leaders. 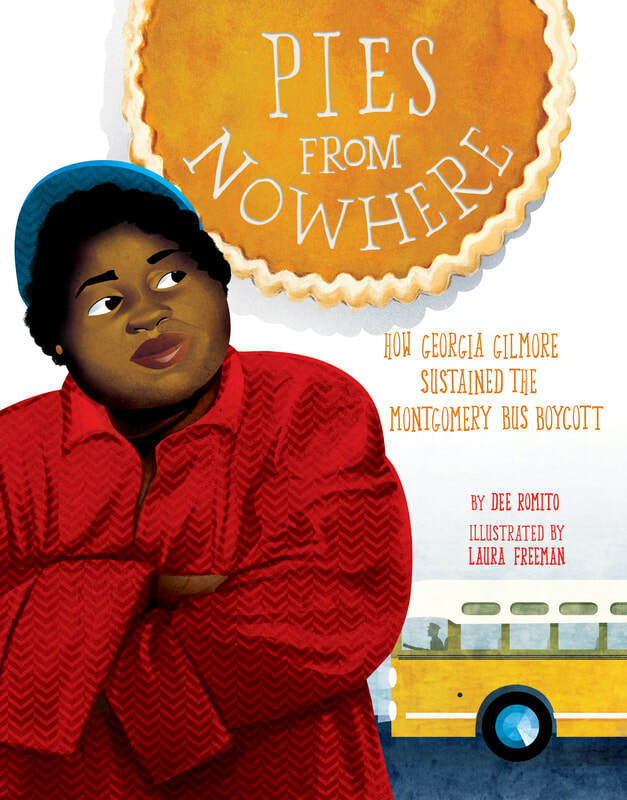 This picture book highlights a hidden figure of the civil rights movement who fueled the bus boycotts and demonstrated that one person can make a real change in her community and beyond. ​Click here for full review. "Freeman creates bold compositions comprising the food, its makers, and even Martin Luther King Jr., who assisted Gilmore in starting her own cooking business."